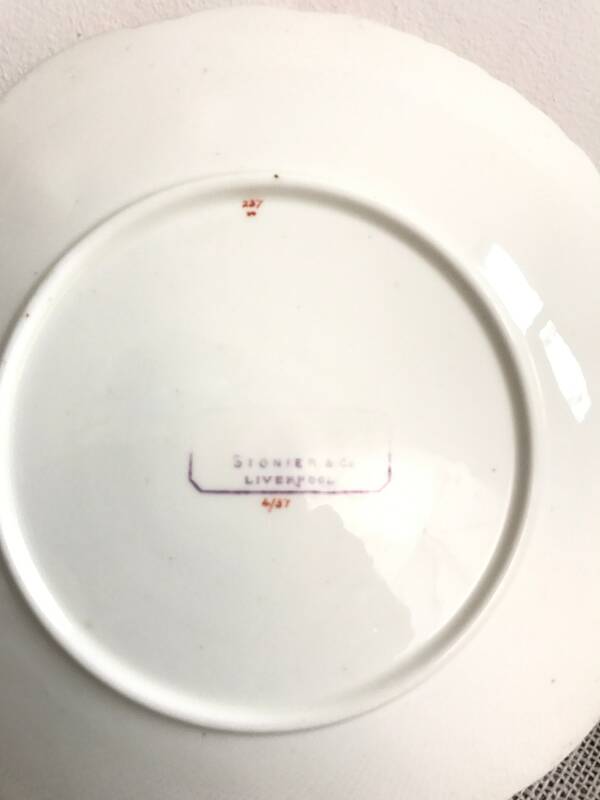 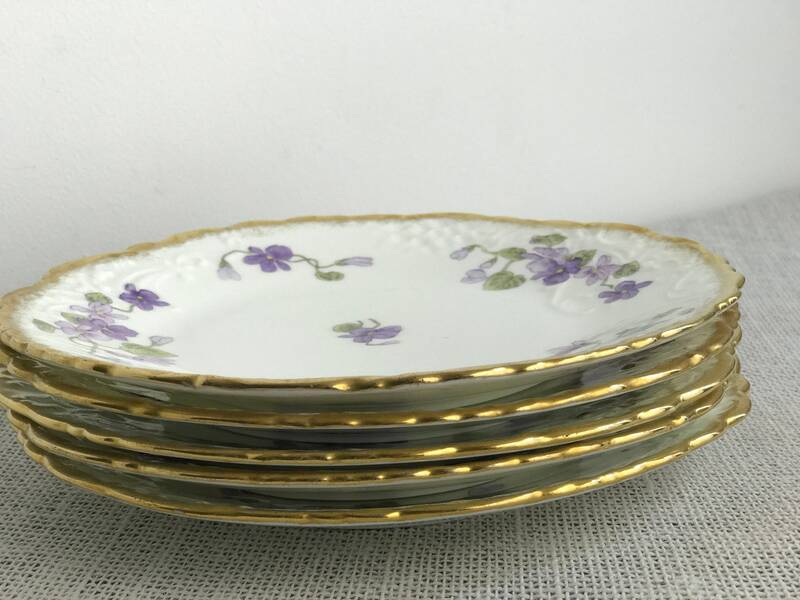 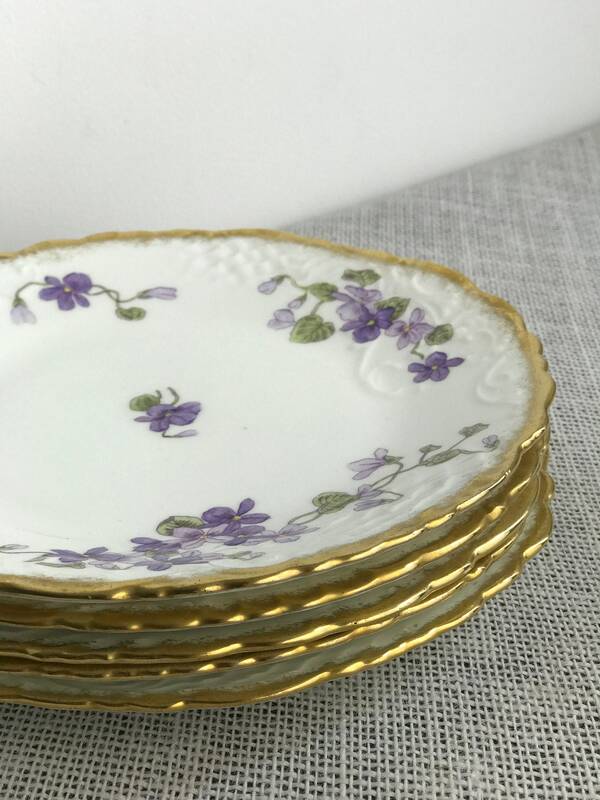 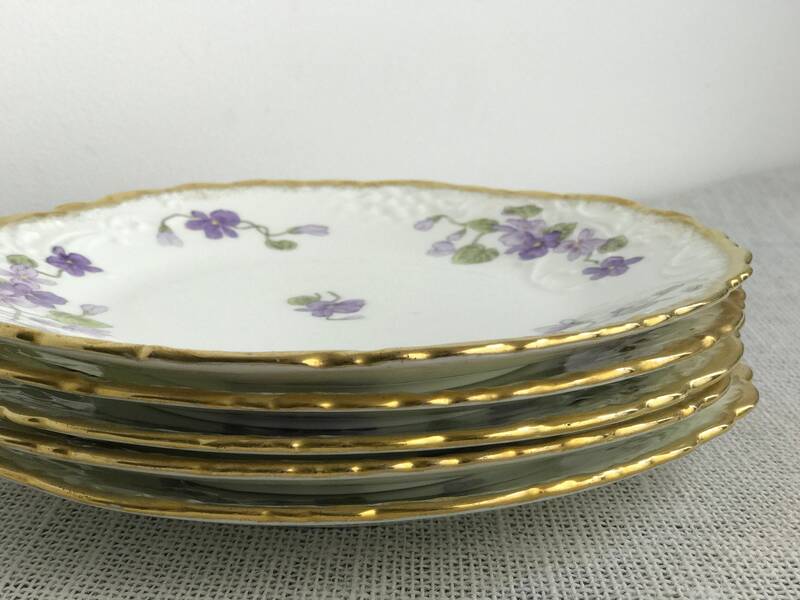 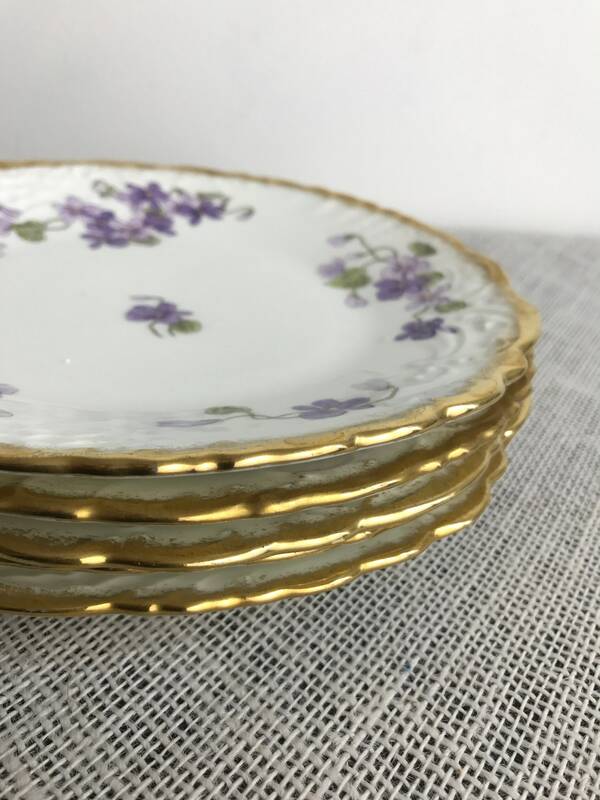 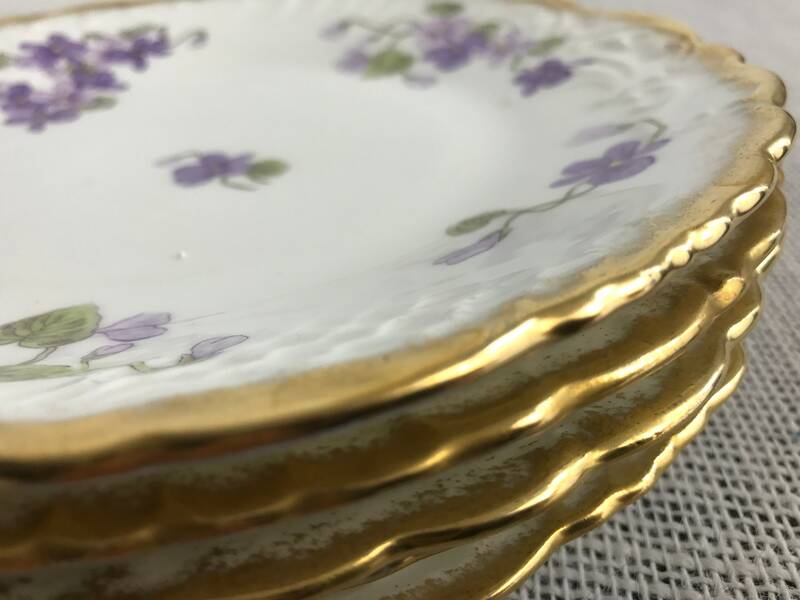 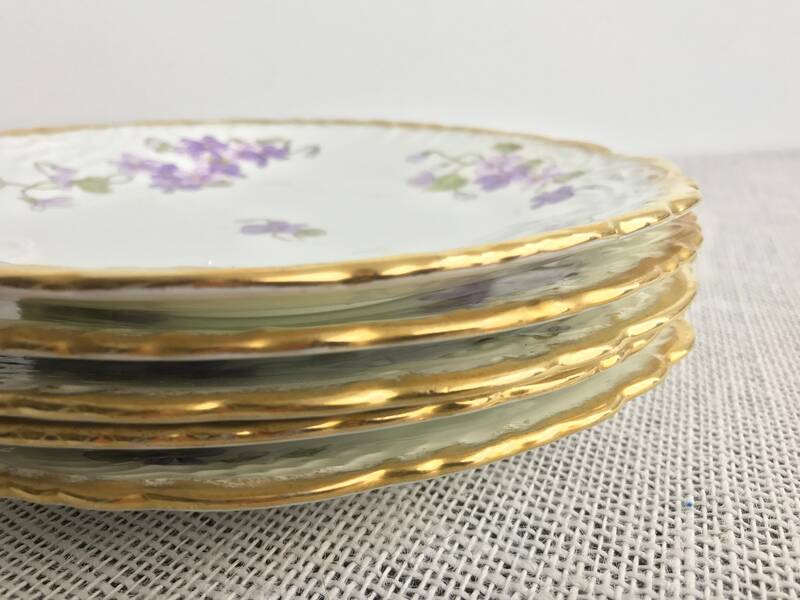 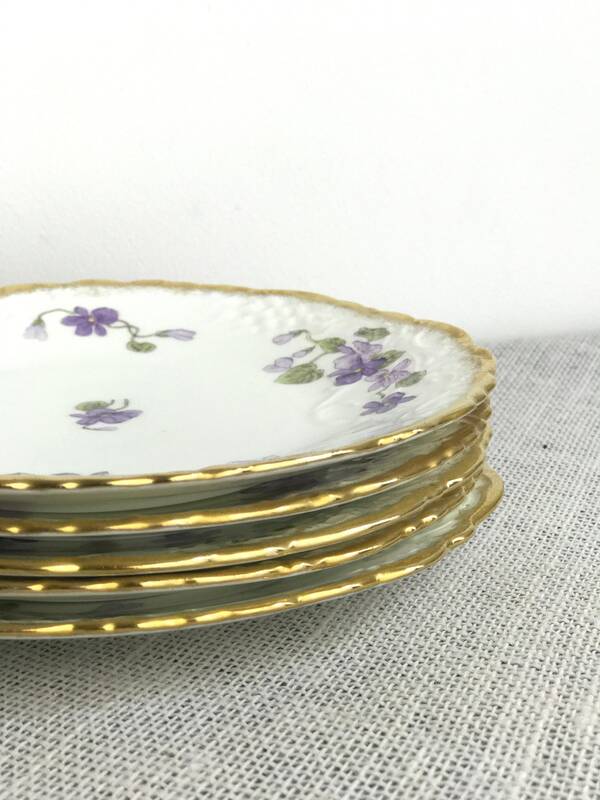 A pretty stack of 5 vintage china fruit plates with small purple flowers and gold rim. 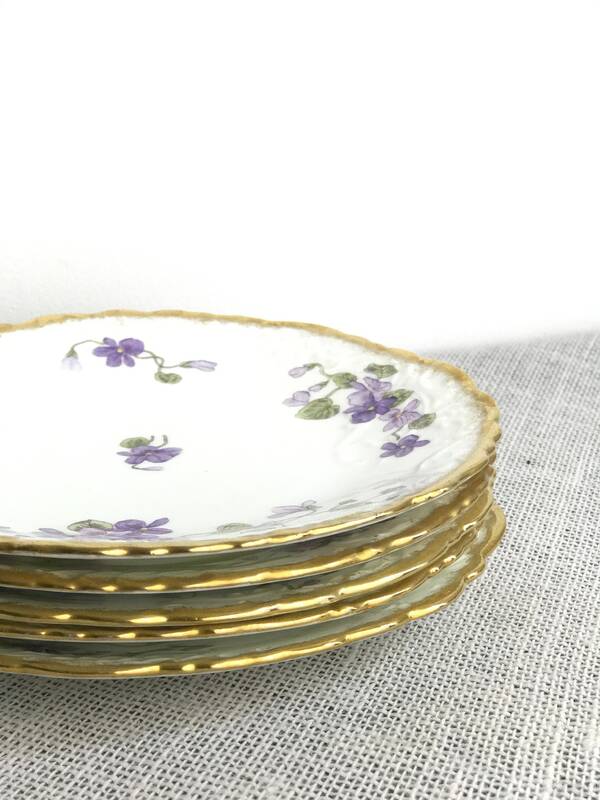 Are you looking for a set of plates with vintage appeal? 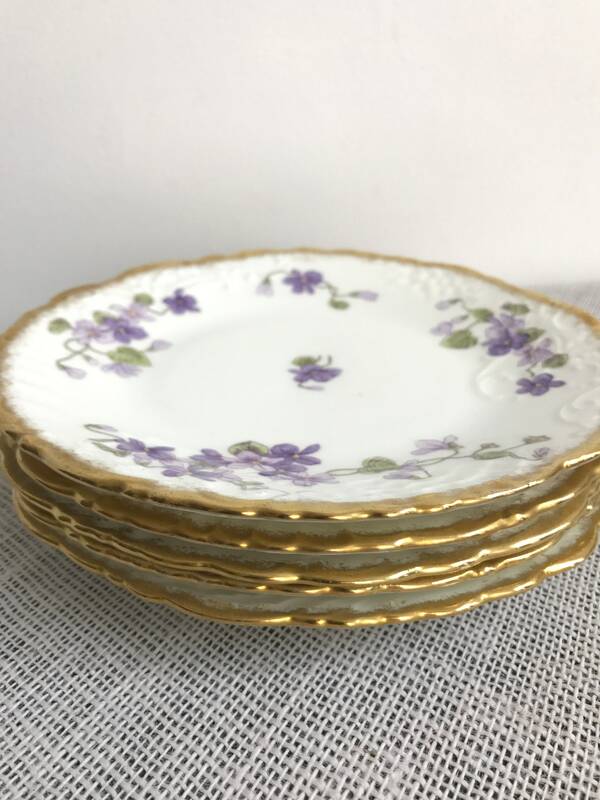 These are a real gem of a find, just so pretty!